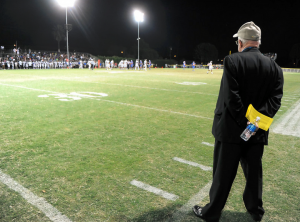 COLUMN: From 2006 to 2013, Bishop Amat has one playoff win and several thousand fans and coaches who think the Lancers still belong in the Pac-5 Division, SoCal’s elite playoff grouping. Following last Friday’s loss to Crespi, the Lancers face an uphill battle just to make the postseason with tough Mission League games left against Serra, Chaminade and Alemany. But “it” hasn’t happened. 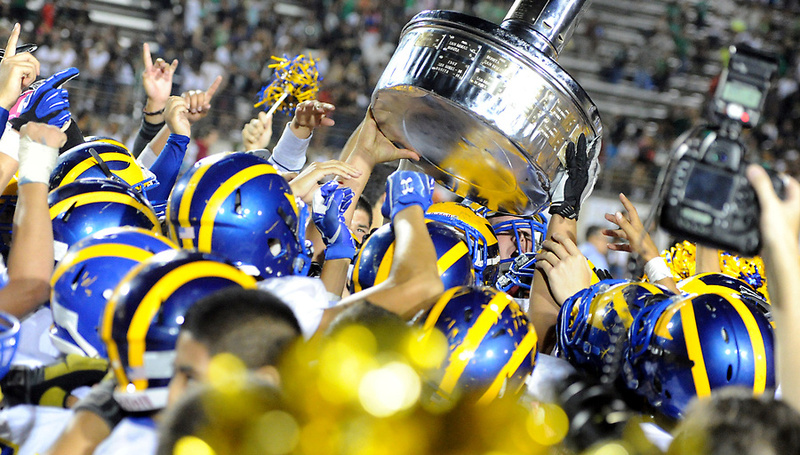 Amat is now 2-3. Who knows what to make of the Lancers’ big win in Texas over Aledo. The rout of Rancho Cucamonga looks less impressive now that La Serna just beat the Cougars and it’s looking like this isn’t one of the Rancho Cucamonga’s juggernaut teams. PrepXtra Live Rewind following Week 4 of the High School Football season. 2. Bishop Amat (2-3) — During the regular 10-game season Bishop Amat has never lost three straight during the Steve Hagerty era. They’re in danger of that now. 3. San Dimas (3-1) — Saints already knocked off then-No. 1 Central Diamond Bar. Would prove a lot more if they beat rival Bonita in Smudgepot Thursday. 4. Damien (3-1) — Starting to look more comfortable and a good chance to go 4-1 at Ayala next. 5. Charter Oak (2-3) — Not the Central Division favorite we thought they were. 6. Bonita (3-1) — With a week to rest will Bonita beat San Dimas for the second straight year? 7. Diamond Ranch (4-1) — Strong pre-season showing and way to close over solid El Rancho squad. 8. Pomona (3-2) — Solid blow-out win over Montclair. Looking like a factor in the Mid-Valley. 9. Los Altos (2-3) — If you’re a Los Altos fan the only good from back-to-back losses to Glendora and Monrovia is that they were extremely competitive in both. 10. West Covina (3-2) — Bulldogs are blowing out the teams they’re supposed to blow out. THE REST: 11. Northview (4-1); 12. Diamond Bar (3-2), 13. Arroyo (4-1), 14. La Puente (3-2); 15. Covina (2-2); 16. Walnut (2-3); 17. Bassett (3-2); 18. Ganesha (3-2); 19. South Hills (1-4), 20. Baldwin Park (2-2); 21. Azusa (1-2); 22. Rosemead (1-4), 23. Rowland (2-2); 24. Duarte (1-4); 25. El Monte (1-4), 26. Wilson (1-3); 27. South El Monte (0-4), 28. Nogales (1-3), 29. Sierra Vista (1-3), 30. Mountain View (0-4), 31. Workman (1-3), 32. Gladstone (0-4). Last Week: Aram and I both had a good week statistically, but we also missed opportunities for a super week. We both missed out by not taking Glendora over Charter Oak, La Sierra over Northview and La Canada over Rio Hondo Prep. We both thought Baldwin Park would beat Walnut and that Cypress would beat Diamond Bar. I got Aram taking Crespi over Bishop Amat and Pasadena Poly over Brentwood, but he got me back with California over Magnolia and Diamond Ranch over Cypress. This week: The Smudge Pot between San Dimas and Bonita lead the way and they’re both hot, both with one loss and playing in the middle of the season instead of the season opener as in recent years. One of San Dimas’ complaints in losing to Bonita last year and struggling in openers is they’re not as prepared as they would be for a mid-season game. I’m taking their word on that and picking San Dimas. For all the good they’ve done, like winning CIF titles, you have to believe San Dimas can’t stomach losing to their rival again. As bad as the situation looks for Bishop Amat, losing in heartbreaking fashion at Crespi in overtime, they’ve NEVER lost three straight during the regular 10-game season during the Steve Hagerty area. They have a good record of responding when their backs are to the wall and they’ve never been more back to the wall than now. Friday’s game is live on Fox West, it’s a 7:30 start and with all the cameras and bright lights on them, this is the type of game Amat wins. Walnut scores 35 straight points to win it: Walnut coach Mike O’Shields turned to quarterback Micah Maes after falling behind three touchdowns to host Baldwin Park in the opening quarter. That’s exactly what he did, leading Walnut to a 35-28 victory over Baldwin Park with 35 unanswered points after falling behind 21-0. Bishop Amat loses a heartbreaker: Zari Lealock was not about to let Crespi go down in its Mission League opener. With Bishop Amat driving into Crespi territory for a potential tiebreaking score late in the fourth quarter, Lealock knew he had to make a game-changing play on the defensive end of the ball. Lealock’s interception was impressive enough. But Lealock was far from done, bobbing and weaving through Bishop Amat players en route to a 75-yard interception return for a touchdown that gave Crespi a seven-point lead. But Amat was not about to lose this game either. Quarterback Damian Garcia hit Tyler Vaughns for a game-tying touchdown with 21 seconds left to force overtime. 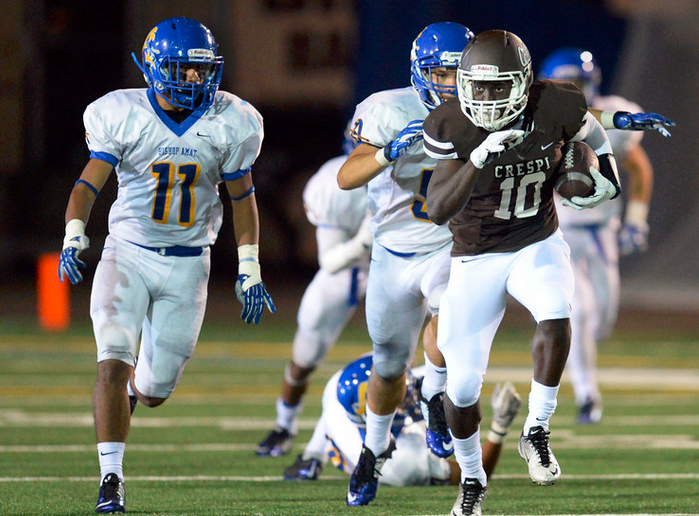 Crespi eventually pulled out a thrilling 32-31 victory. MONROVIA WINS THRILLER OVER LOS ALTOS: Asaph Zamora drove Monrovia 91 yards in the final minute to stun Los Altos 27-25 in a nonleague game Friday night. On third-and-goal from the 20-yard line with 0:12 left on the clock, Zamora bought time in the pocket and found Lawrence Spencer in the corner of the end zone for the game-winning touchdown. Walnut 35, Baldwin Park 28 — Mustangs fall behind 21-0 and score 35 unanswered to pull it out. Pomona 51, Montclair 7 — Pomona players needed this. Crespi 32, Bishop Amat 31, OT — After Bishop Amat rallied to tie the score in regulation, Crespi goes for 2-point conversion and get it in OT for the victory. Monrovia 27, Los Altos 25 –– Wildcats score in the final seconds to pull out a thriller. Rosemead 35, El Monte 0 — Panthers get first win in Mission Valley opener. West Covina 56, Santa Fe 27 –– All of a sudden, Bulldogs looking like top 5 Central team. Bassett 47, Sierra Vista 15 — Olympians started to pile up victories. Damien 37, South Hills 0 — Yeah, it’s a good idea that South Hills isn’t in the Inland Division anymore. 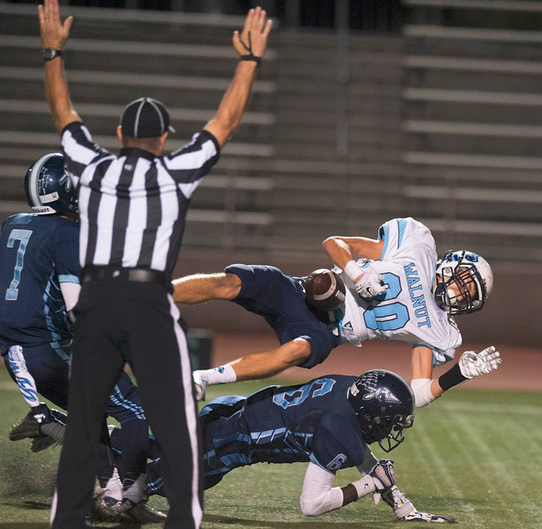 Arroyo 28, Mountain View 0 — Knights back in their MVL comfort zone. Diamond Bar 38, Cypress 27 — Brahmas needed a win after losing two straight. Diamond Ranch 24, El Rancho 19 — Great result over a solid El Rancho squad. La Salle 42, Duarte 7 — Falcons take another step back. La Puente 45, Gladstone 7 — Warriors getting better by the week. Rowland 39, Hillcrest 32 — Raiders didn’t care who they beat, they needed a win. Ganesha 42, Workman 7 — Lobos struggles continue. Centennial 42, Wilson 20 — Wildcats defense continues to give up lots of points. Ayala High School sent a memo to reporter Lou Brewster involving suspensions and allegations of hazing. Memo: Ayala High School officials are continuing to investigate an incident involving some members of the Varsity Football team while at an away game in St. George, Utah. Underclassmen reported that there was a hazing incident that took place at the team hotel. 21 students have been suspended ranging from one to five days pending the continuing investigation. “As a district, we have zero tolerance for hazing or bullying of any sort,” said Julie Gobin, district spokeswoman. Note: Ayala beat Snow Canyon in St. George, UT., last week 23-7. Ayala has a bye tonight and will resume action next Friday hosting Damien. 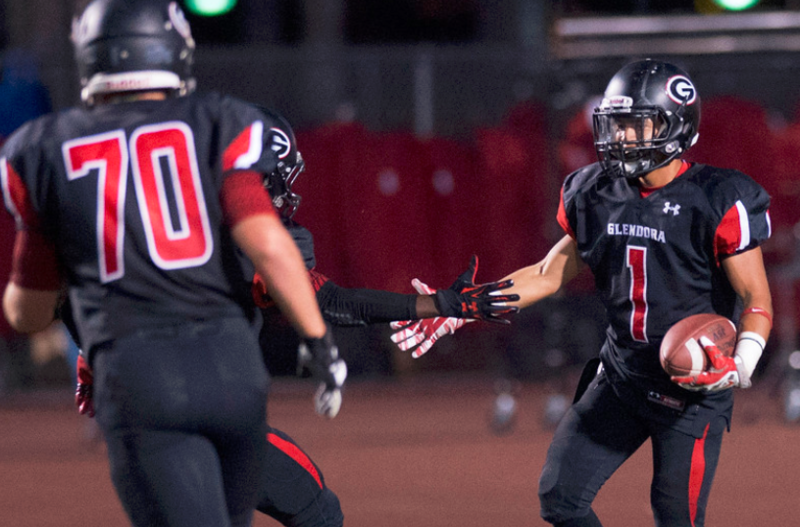 Glendora proves its a force in the Central: Glendora followed the same script that it used to win the Mayor’s Trophy last year. In a battle of CIF-Southern Section Central Division powers, The Tartans trailed Charter Oak at the half and came back to beat the Chargers in the last few minutes, 38-37, at Citrus College on Thursday night. The winning score came on Justin Frazier’s 8-yard run with 4:40 left in the gam, which capped a five-play drive following a fumble recovery by Joel Stone at the Chargers’ 18-yard line. The Chargers appeared to have stopped the Tartans on a fourth-down play at the 16-yard line, but a pass interference penalty gave Glendora life. Northview’s loses first game: The La Sierra High School football team mounted a massive second-half comeback Thursday night to hand Northview its first loss of the year, 41-34, in a non-league contest. The Eagles trailed 28-7 at halftime, but outscored the Vikings 34-6 in the second half to improve to 2-3 at the end of nonleague play. La Sierra equaled its 41 points from last week, making it five consecutive games with at least 20 points. The Vikings had held each of their last three opponents to just six points, going on to win each game. The defense picked up where it left off for the first half of the game. However, La Sierra managed to turn around its offense to drop Northview’s record to 4-1 as it goes into the league portion of the schedule. When longtime Bishop Amat girls basketball coach Richard Wiard announced his sudden resignation on Sept. 5., while several administrators were in Texas tending to Bishop Amat’s road football game against Aledo, it left a huge void for the winningest girls basketball program in San Gabriel Valley history with the season just a few months away. Replacing Wiard, who won 466 games in his 19-year career, including five CIF championships, five Southern California Regional championships and two state championships, is not an envious position for anyone. But Bishop Amat found what appears to be a worthy successor in Treana Allen, whom the school hired on Wednesday, also making Allen the first African-American head coach in the school’s history. Allen, who also will become a part-time faculty member, has an impressive resume on and off the court. 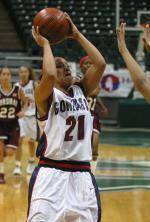 After graduating from Long Beach Poly in 1999 and a short stop at Cypress College, Allen transferred to Gonzaga and made an immediate impact from 2001-03, finishing seventh all-time in the school’s history in 3-pointers made (79) and tenth all-time in assists (212) and steals (115). She was named the Bulldog Club senior female athlete of the year in 2003 after guiding Gonzaga to a second-place finish in the West Coast Conference and was a WCC all-conference selection.